Please do not use my content or images without my permission. Everyday we find time to laugh and on this day, we couldn’t stop laughing. 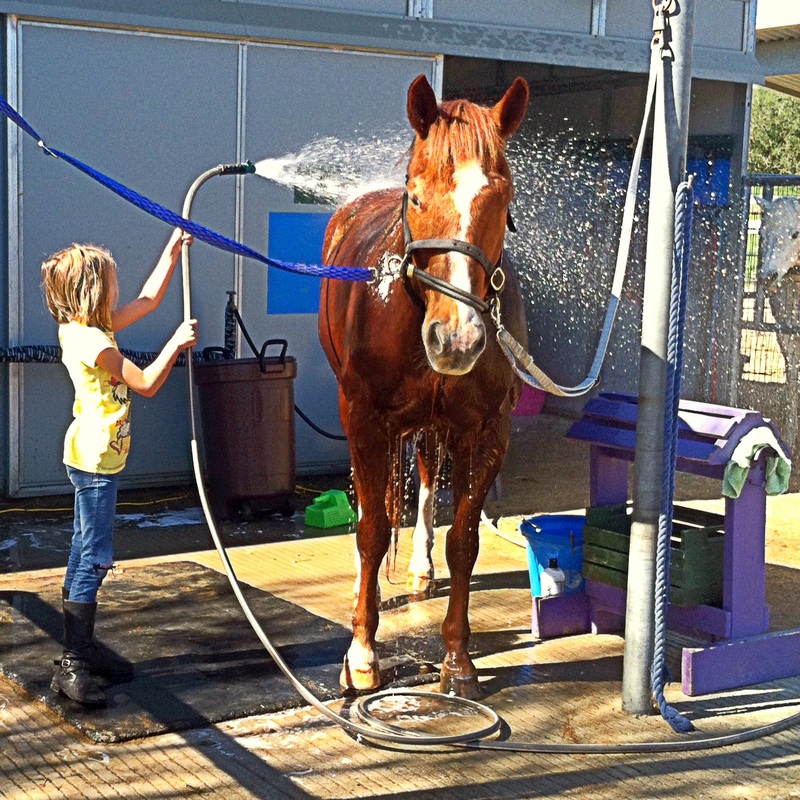 My daughter was a crazy girl with the hose! 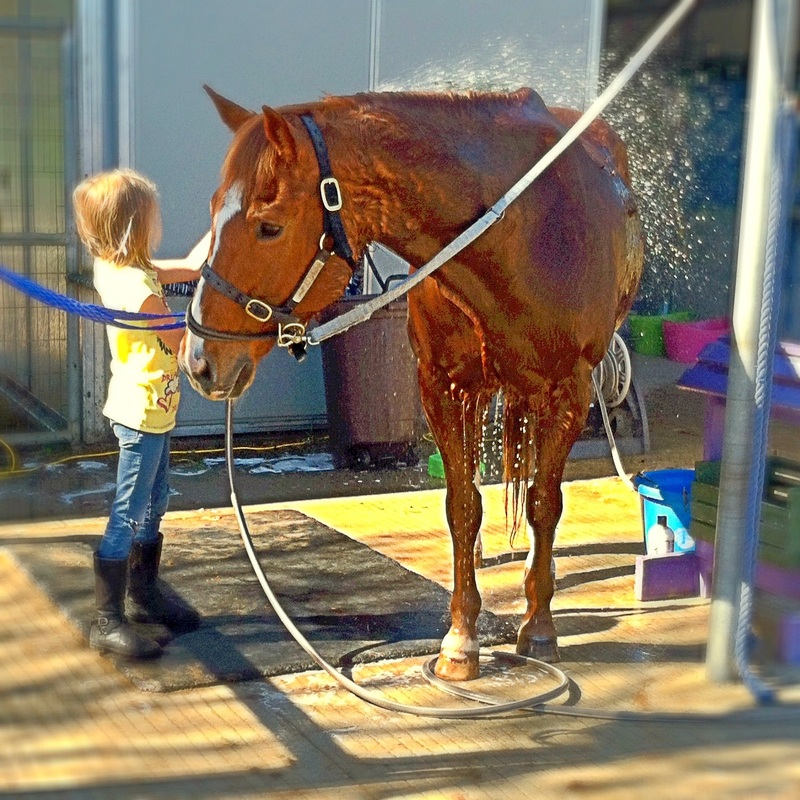 She ended up bathing not only this horse but the three surrounding horses and all human beings in the vicinity! I think she might have a future career as a fire fighter! NO ONE was safe! We were all drenched! 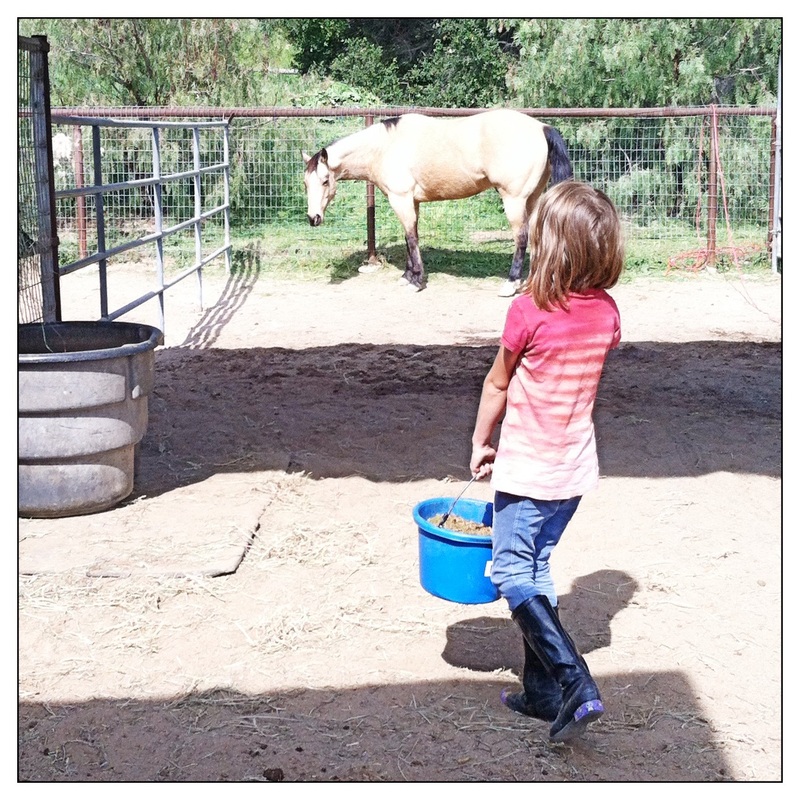 Horse care is a big part of her responsibilities! And she LOVES it! 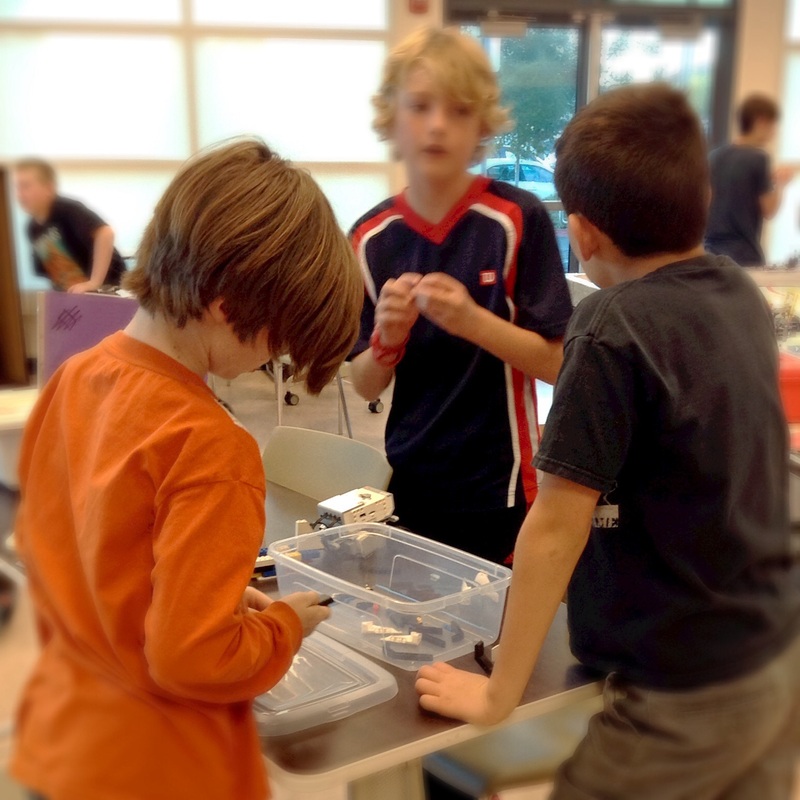 First Lego League http://www.firstlegoleague.org is a great group to become involved with. 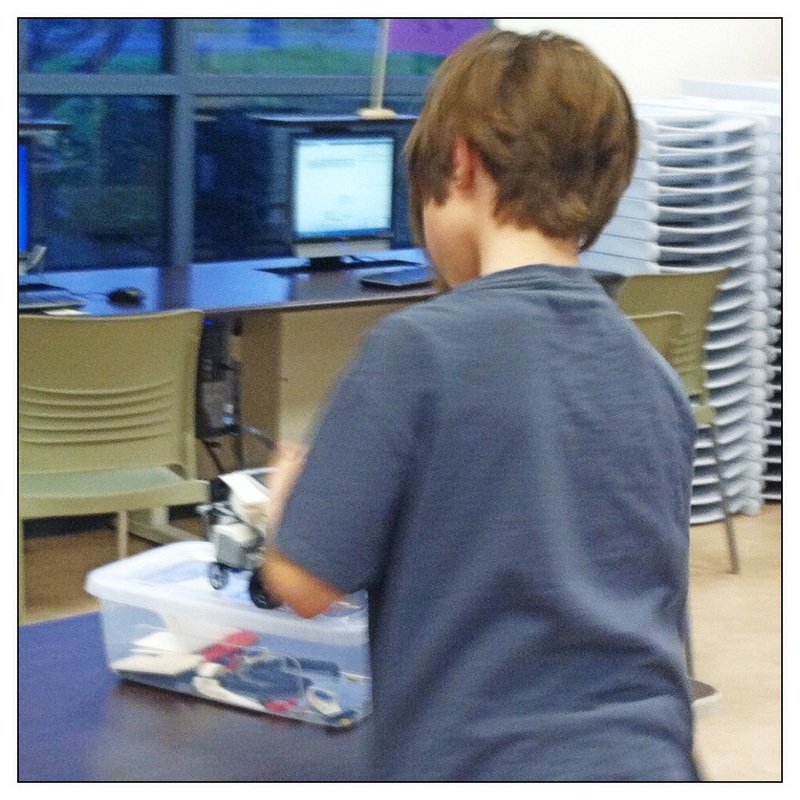 The kids learn so much more than Lego robotics. They learn valuable social skills, how to be part of a team and how to support not only your own team but the teams you are competing with. 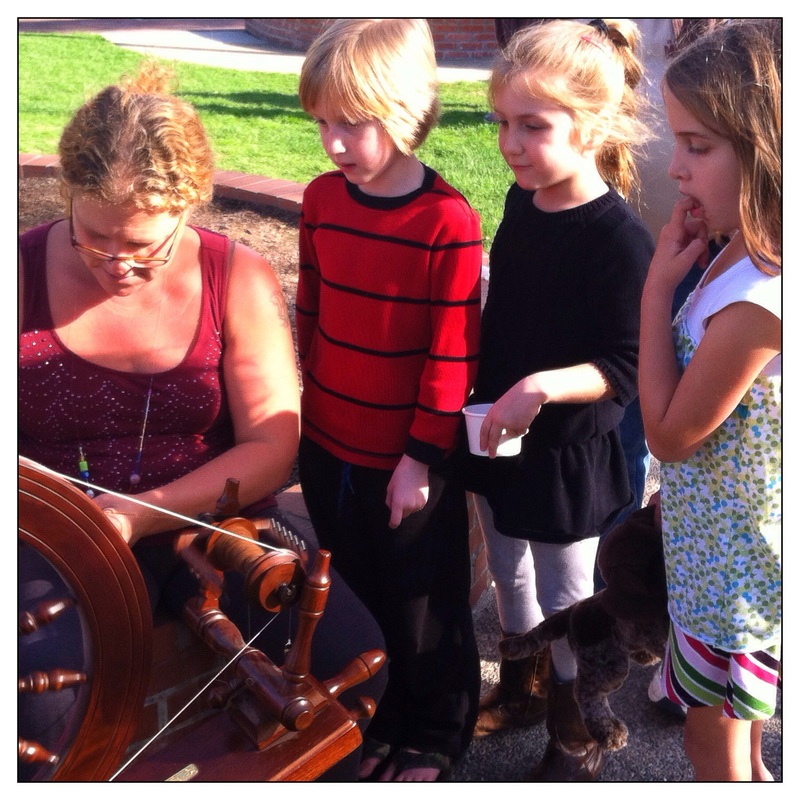 While at the park we stumbled upon a woman who was spinning yarn and her daughter was knitting. Both of these wonderful people shared their talent and craft with our children. 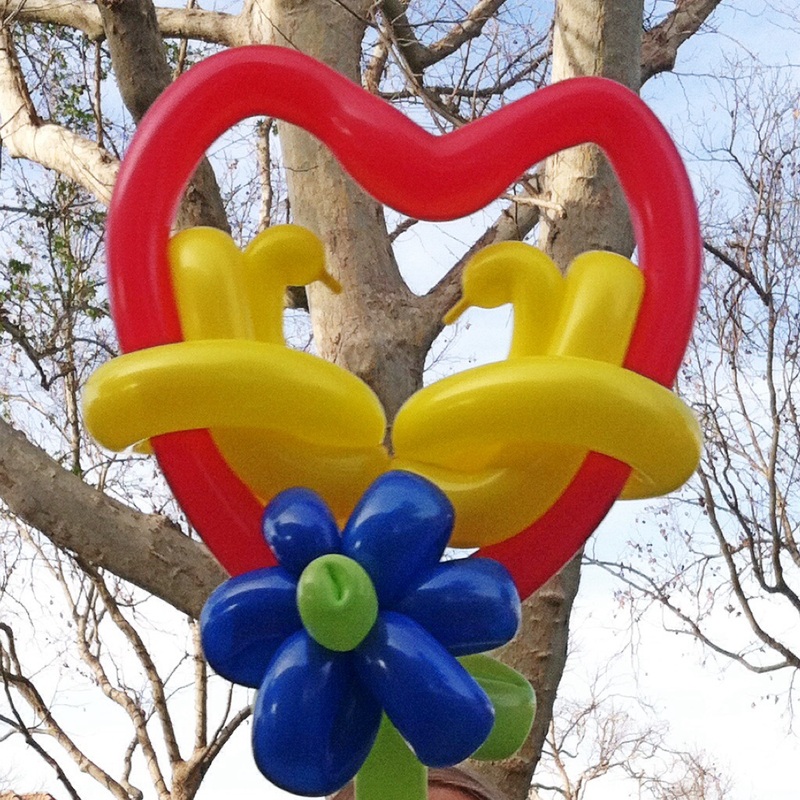 Another crafty person was making balloon creations for a donation. 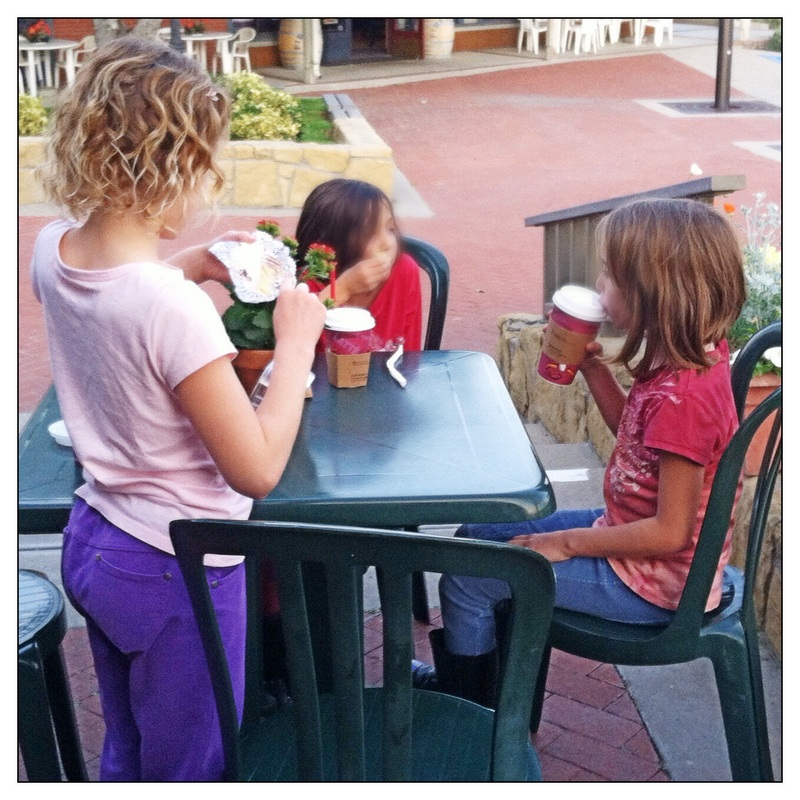 I did not have ANY cash on me, so my children were upset they couldn’t have a balloon. 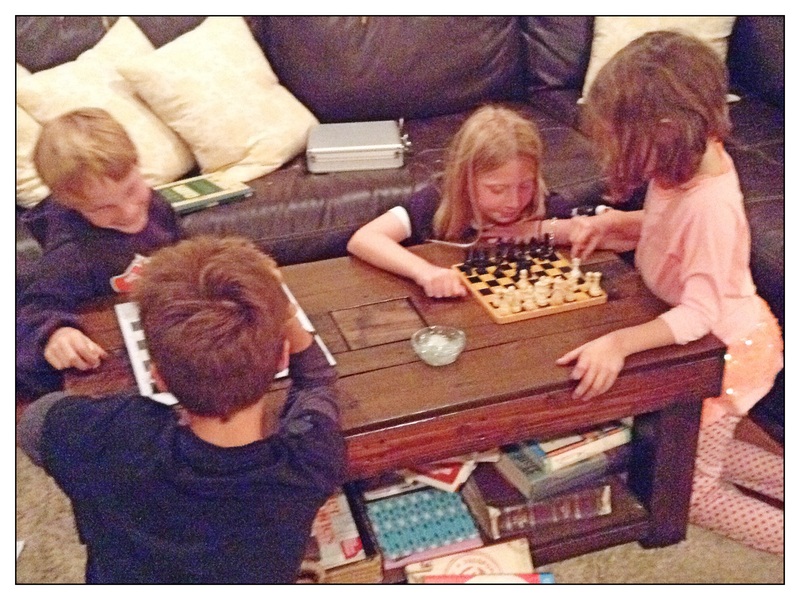 However, they didn’t waste a second sulking, instead they started to problem solve! Before you knew I they had found several coins on the ground at the park and made that donation and got their balloons! I was so impressed with this balloon artists creations, I had to share! Aren’t those swans too cute! 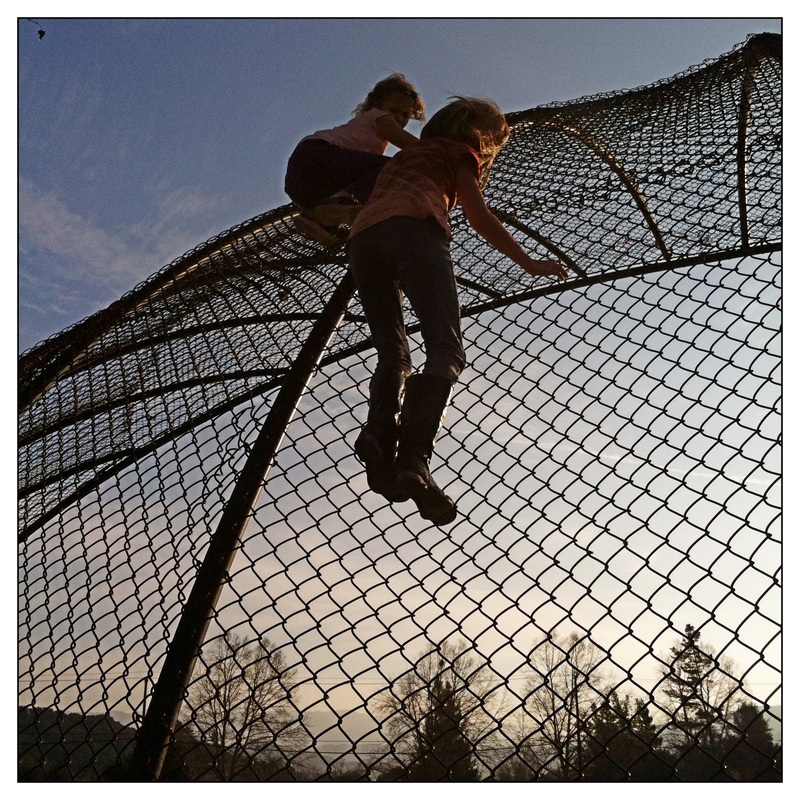 Climbing the baseball stop is always exciting! 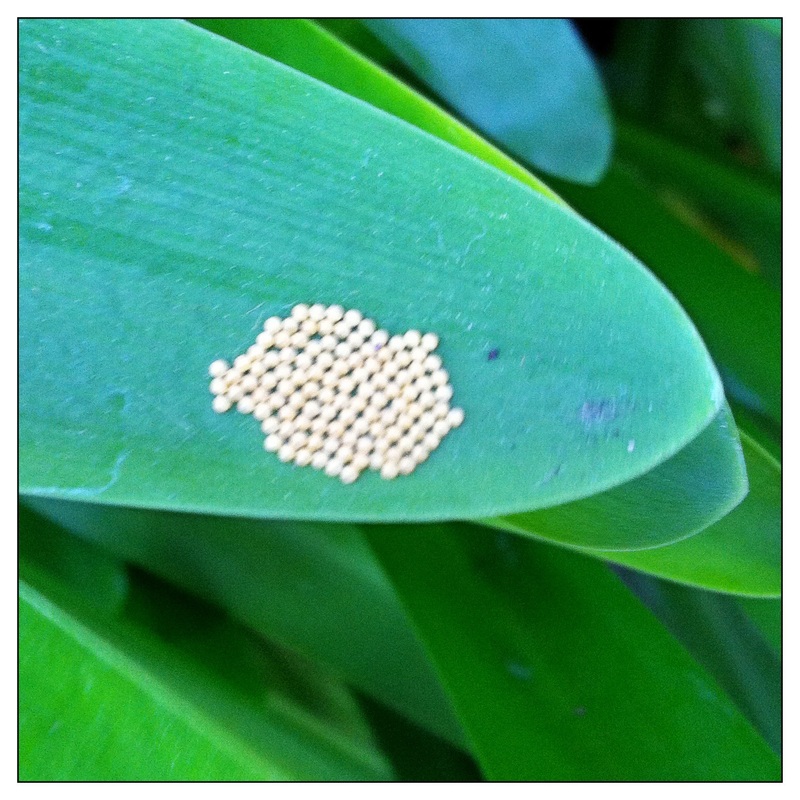 During tea time, the girls found these “eggs” on this plant. If you happen to know what kind of eggs they are, feel free to comment! 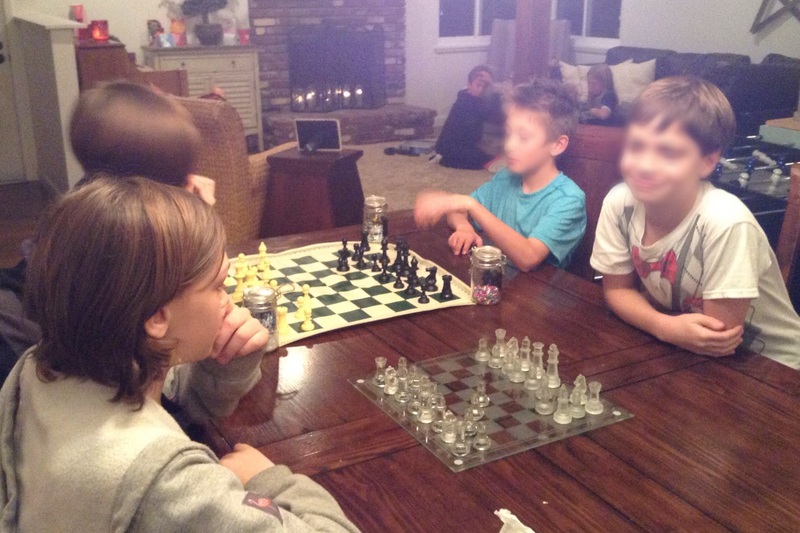 Chess Club is another exciting adventure in our lives! 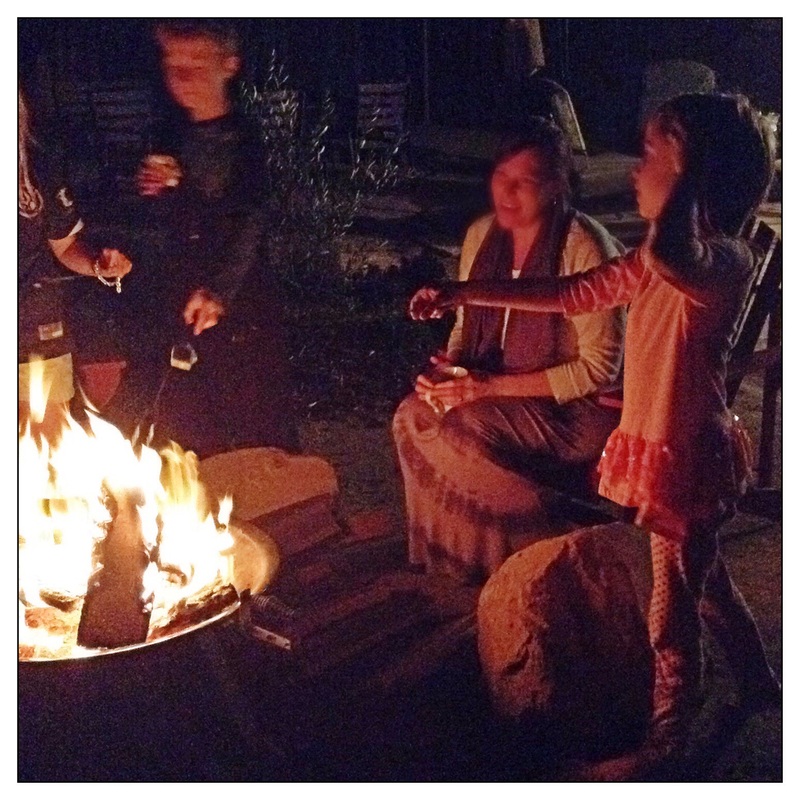 After Chess Club our host family had a lovely fire and supplied the kids with good old fashion s’mores! 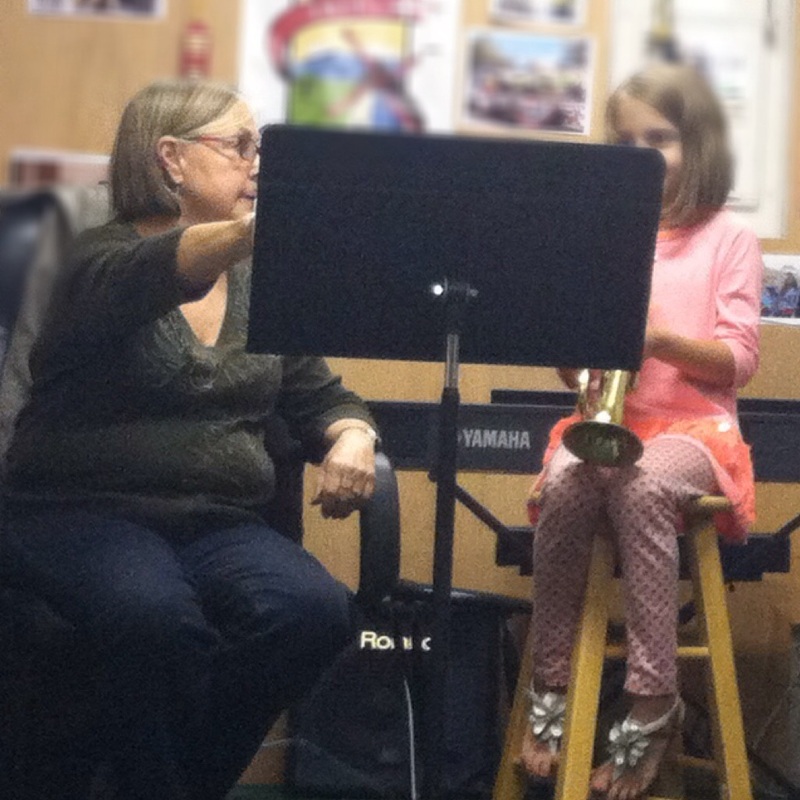 This week our daughter tried her hand at the trumpet. She is very excited about this possibility, but I can’t tell if she’s excited about playing the trumpet or the homework of blasting her notes to wake up her brother in the morning? 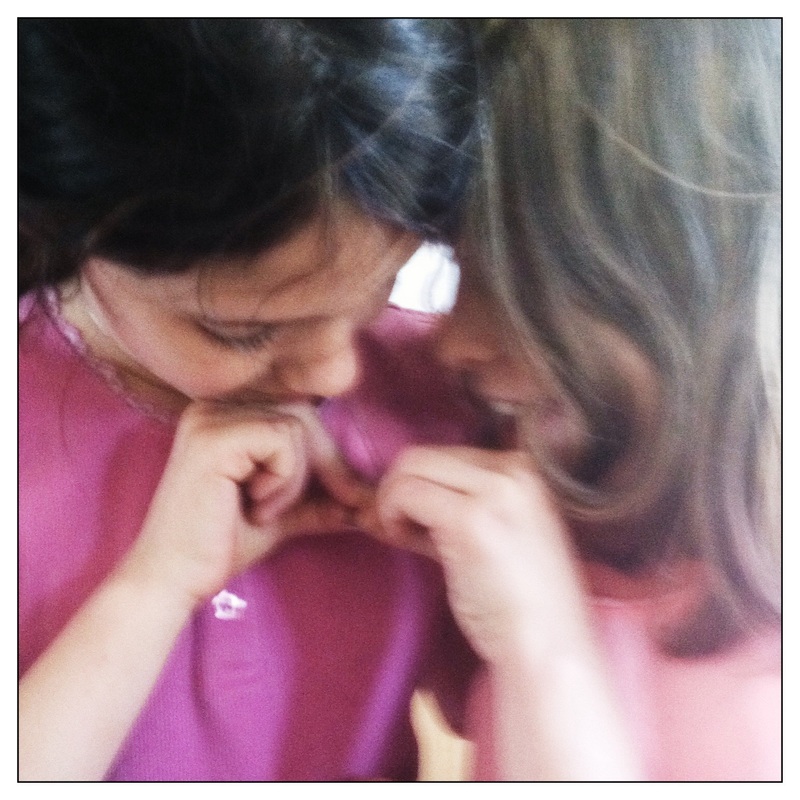 All little girls need a “friends forever” necklace to share with a good friend. Sadly this particular friend is moving away this summer. Thank heavens for technology, they can still keep in touch. More re fun with friends. 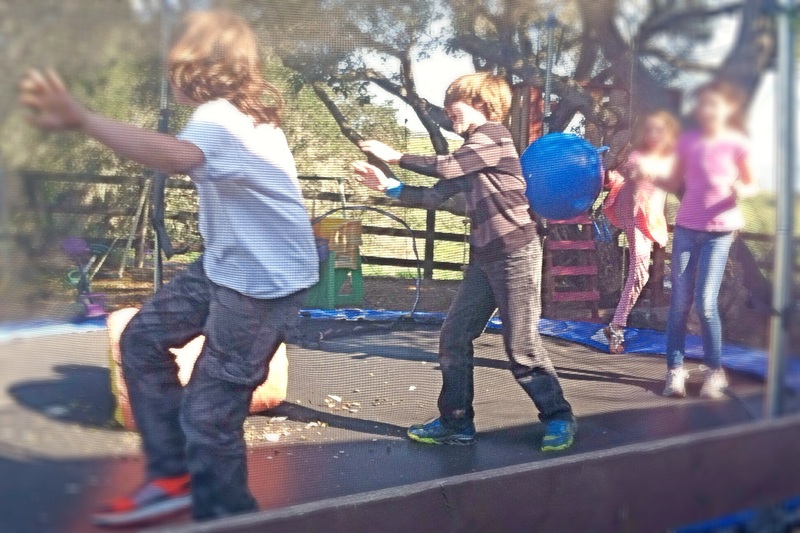 A great game of “dead man” on the trampoline…an all time favorite! 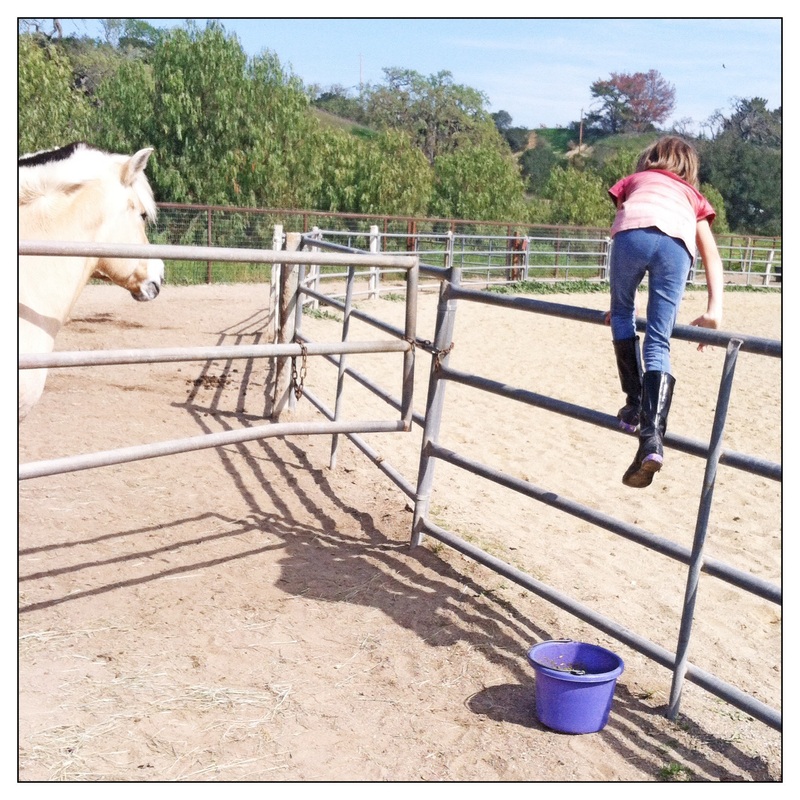 …We were at an appointment this morning and the doctor asked if we were finished with school. He seemed half shocked and half concerned. I said we have already accomplished our math and language studies, why? Turns out he was a little shocked it can be conquered so quickly compared to traditional school. But they LOVE TO LEARN!